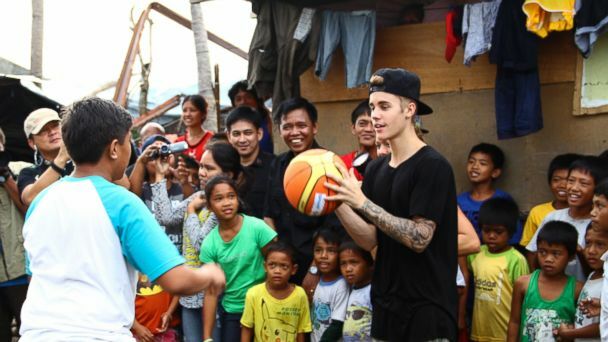 Pop singer Justin Bieber visited the Philippines Tuesday to help victims of Typhoon Haiyan. The storm claimed thousands of lives and caused millions of dollars of damage to the country in early November. (Courtesy of Dimyka Roberts) Operation Help Founder Preston Byrd (back) is pictured with students at Memphis’ Shannon Elementary last Friday morning. Byrd and Operation Help contributed $2,000 toward the school’s Girls in Pearls mentoring program. Though he formed Operation Help approximately 10 years ago, Collierville’s Preston Byrd said the last three years have been the nonprofit’s most active. “I want to have a positive impact on my world around me,” said Byrd, a real estate developer with Horizon Companies. 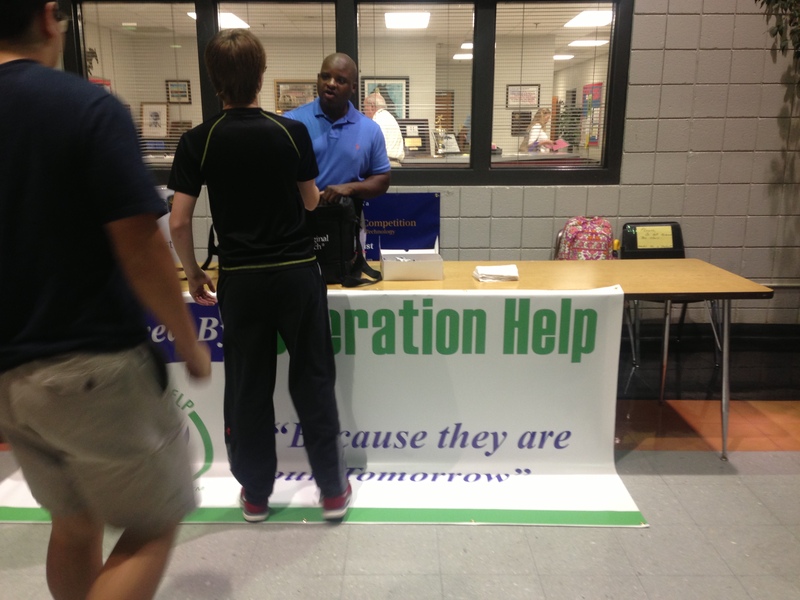 Byrd founded Operation Help as a way to assist inner-city students. “Each school has a different focus for their group of kids,” he acknowledged. “Most of the schools are strapped financially. Anything we can do to assist schools with that load is the purpose of Operation Help. Byrd and Operation Help assisted Memphis’ Shannon Elementary School with a $2,000 donation toward Girls in Pearls, a program that features high school girls from across the city tutoring and mentoring students at the school. He has recently decided to work with the Dimyka Roberts Agency, a public relations company, to help spread the word about the organization and its purpose. Last month, Byrd assisted with a fundraiser for the Houston High School varsity cheer team, which his daughter, Angelica, a freshman at HHS, is a member of. During the three-day fundraising event, Byrd provided Chick-fil-A chicken biscuits to students free of charge before class. He said “there is a misnomer” that everyone living in the suburbs has money, but that there are children outside of the inner city who often go hungry. “The inner-city kids are important, but we have kids right here under our noses who we can’t forget about either,” he said. For more information on Byrd and Operation Help, visit prestonbyrd.wordpress.com. Many people believe in donating their old clothes and items they no longer need to do their “good deed” or “act of kindness.” While those are good reasons, there are many other reasons why you should donate these items. Orange County & Waste Recycling reports that there won’t be new landfills for quite some time. Our recycling efforts cannot come fast enough as landfill trash stays in the environment for a very long time. We can continue to reduce waste by donating our gently used clothing and working and non-working electronics to charity. 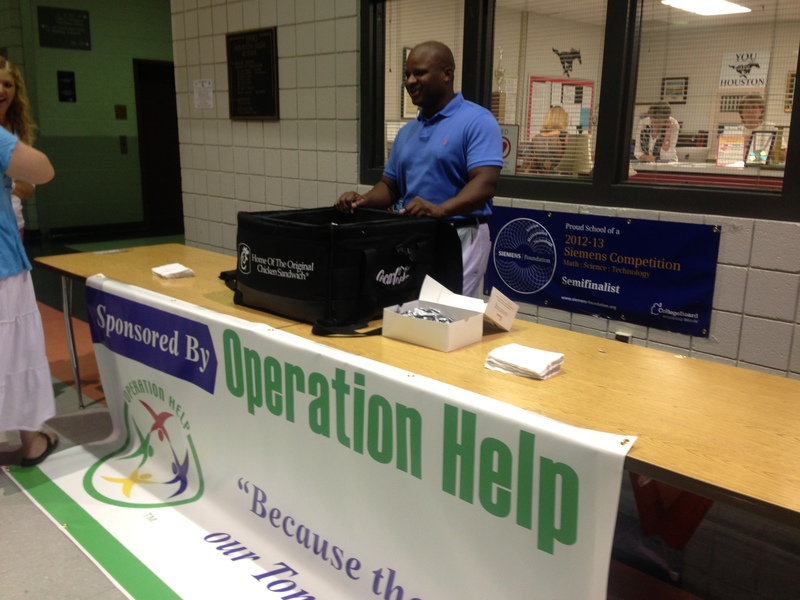 Germantown TN, 9/16/2013 – Operation Help, the nonprofit organization devoted to achieving specific educational goals that will add additional enrichment to our children, kicked-off the 2013-2014 school year last week by hosting a Chick-Fila Breakfast Giveaway on September 11, 2013 at Houston High School in Germantown TN. 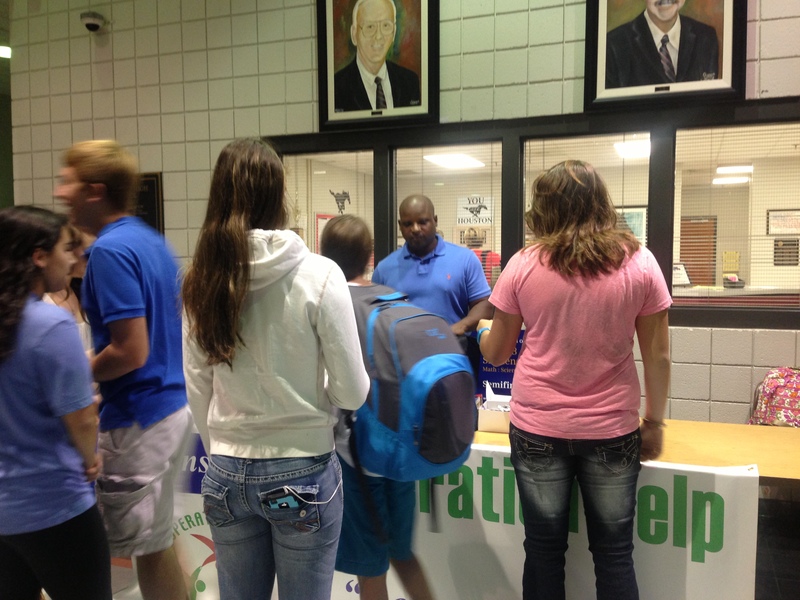 Breakfast was given out to high school students in the morning before class at no cost to the school or the children. 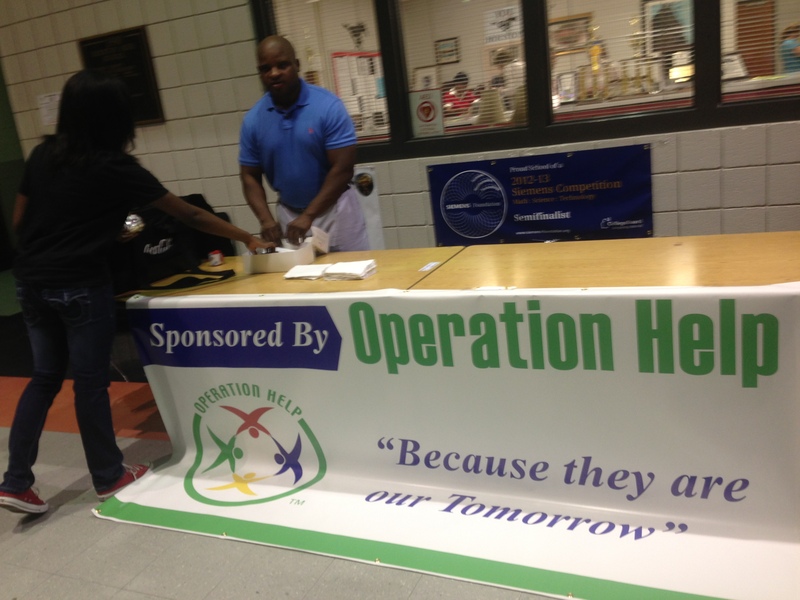 Operation Helps’ mission for this event was to address the increasing epidemic of child-hood hunger in schools by providing free breakfast to the students. “No child should grow up hungry in America but one in five children struggle with hunger,” Says Founder, Preston Byrd of Operation Help. The new face of child hunger might belong to the child next door. NO CHILD SHOULD GROW UP HUNGRY IN AMERICA But one in five children struggles with hunger. Operation Help is a community based non-profit organization. We are sponsored wholly by our real estate development company as it is our way of giving back to a community that has assisted us in our growth over the years. One of Operation Help’s programs is called Adopt a School. Our goal is to target inner city schools that we can partner with to assist them in achieving specific educational goals that will add additional enrichment to our children, “Because They are Our Tomorrow.” Each year, our Adopt a School program will identify 10 new inner city schools and provide funding to them for specify learning programs determined by the school until they have all been touched.